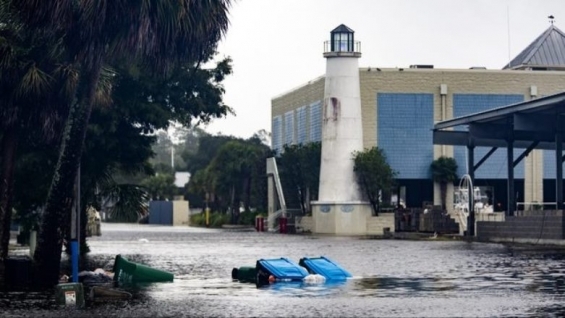 The Federal Emergency Management Agency (FEMA) declared a major disaster for the state of Florida on October 11, 2018 for victims of Hurricane Michael. Bay, Calhoun, Franklin, Gadsden, Gulf, Holmes, Jackson, Liberty, Taylor, Wakulla and Washington Counties have all been designated as areas in need of immediate relief. More than 200,000 people throughout Florida have been affected by Hurricane Michael. A number of our members have lost their homes, and with the chaos that inevitably follows a devastating natural disaster, they may be unable to reach out to friends or relatives for assistance. The International Brotherhood of Teamsters is requesting disaster relief assistance from all of our Joint Councils, local unions and affiliate organizations for Teamster members and their surrounding communities who have been affected by the storm. For more information on the ways you can help, click here.